An obscure company seems to be fueling several new streaming TV packages, all with similar channels and pricing. Even if you’re the most well-informed cord-cutter, you’ve probably never heard of Omniverse One World Television. This Kansas City-based company appears to be behind a wave of little-known streaming TV services, including SkyStream, VivaLive TV, TikiLive TV, NKT.TV, ExchangeVue, Flixon TV, and Milo TV. These services all cost between $30 and $35 per month, they all stream similar lineups of live cable channels—among them ESPN, HGTV, FX, and CNN—onto a variety of devices, and in some cases, their sign-up sites are nearly identical. Strange as it may seem, these services aren’t outright scams or sources of piracy. They’re all just taking advantage of the same unusual situation to offer new streaming services without going directly through TV networks. And while I haven’t tested all of them, I did spend some time with SkyStream and confirmed that it works as advertised (albeit with far less polish than mainstream services such as YouTube TV, Sling TV, and DirecTV Now). What’s less certain is whether these services can survive over the long haul due to the shaky foundation on which they’re built. 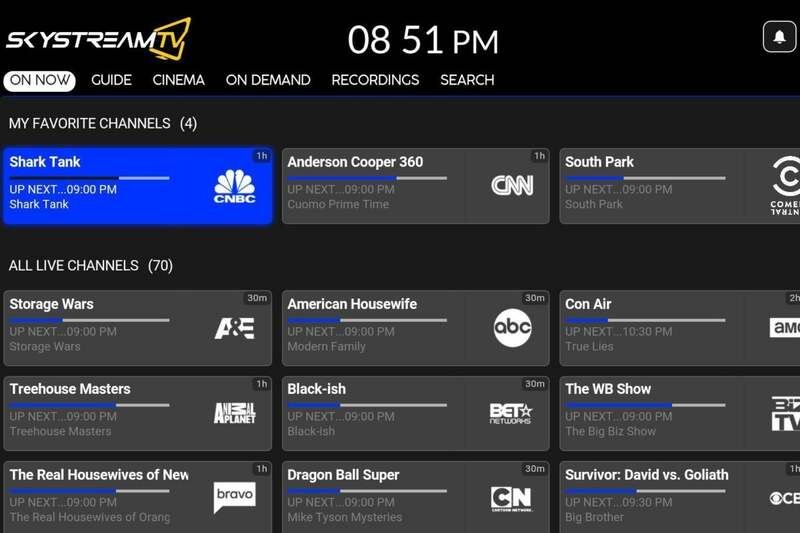 After looking at the service, I realized that its pricing and channel lineup were nearly the same as SiliconDust’s HDHomeRun Premium TV, a live TV service with over-the-air antenna integration that I covered last month. SiliconDust’s and SkyStream’s website also both display a message about delivering service “in Cooperation with Omniverse One World Television Inc.” A bit of searching led to a half-dozen other streaming TV services with that same message and similar channel packages. SkyStream's channel lineup includes many popular cable channels for $35 per month. Omniverse’s own website doesn’t have much information about these partnerships, and CEO Jason DeMeo did not answer multiple email requests for comment. Emails to VivaLiveTV and Flixon TV went unanswered, and a representative for TikiLiveTV did not agree to an interview in time for this column. SiliconDust CEO Ted Head said via email that he was unable to discuss his arrangements with content providers. Still, SkyStream co-founder Phil Lelle says his company performed due diligence of Omniverse. SkyStream sells a line of Android-based TV boxes and wanted to offer a legal, non-pirated live TV service to its 100,000 customers, Lelle says. His understanding is that DeMeo, a sales and marketing entrepreneur, acquired the rights for internet-based TV service through a years-old cable contract. Flixon, which itself offers nearly identical service to SkyStream, acted as a “master reseller” for that content, Lelle says. “We wanted to see contact paperwork, we wanted to see the content rights holders’ master agreements, and at that time they were more than happy to oblige to that,” Lelle says. 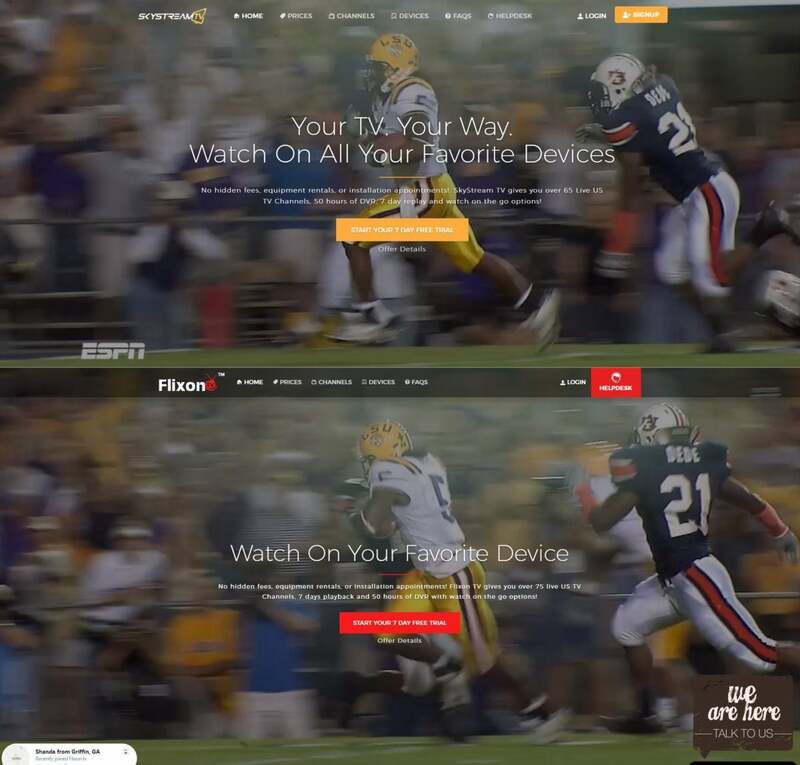 The websites for SkyStream (top) and Flixon (bottom) are almost identical aside from their branding. Omniverse’s unusual arrangement would explain some of the limitations and requirements imposed on SkyStream and its peers. 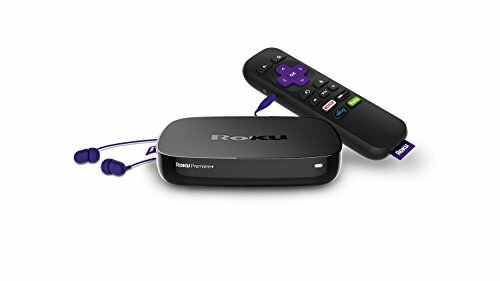 To activate the service, users must login on a “primary” TV device, such as an Android TV box or Roku, so you can’t sign up just for mobile viewing. For broadcast channels, all the feeds are from New York stations, which is fine for nationally televised events, but users won’t get local coverage in their own markets. Certain channels are also locked to specific time zones. FX, for instance, is three hours behind schedule for viewers on Eastern time, because only the Pacific time zone feed is available. These services don't include full on-demand streaming rights, either, though some services offer recent programs on replay. SkyStream offers the previous seven days of some programming on-demand, but there's no proper on-demand catalog. Perhaps most importantly, Omniverse doesn’t have the rights to some channels that users might want, such as Fox Sports networks (both regional and national), Disney Junior, or the NFL Network. “The rights are for our current channel lineup, and that’s it,” Lelle says. To get more cable channels, SkyStream would have to negotiate directly with TV networks, and there's no chance of that happening without a critical mass of subscribers to its existing service. Therein lies the bigger potential issue for these services: They’re not exactly built on solid ground. Lelle acknowledges that SkyStream’s live TV service operates at a loss. And while he’s hoping to eventually turn a profit by adding more subscribers, the clock is now ticking on a three-year contract with Omniverse. After that, it’s unclear whether a new streaming deal will even be available. As a hedge, SkyStream set up its streaming TV business as a separate entity, effectively protecting its set-top box business if things don’t work out. “It’s going to take a significant amount of subscribers to get to where we need to be,” Lelle says. 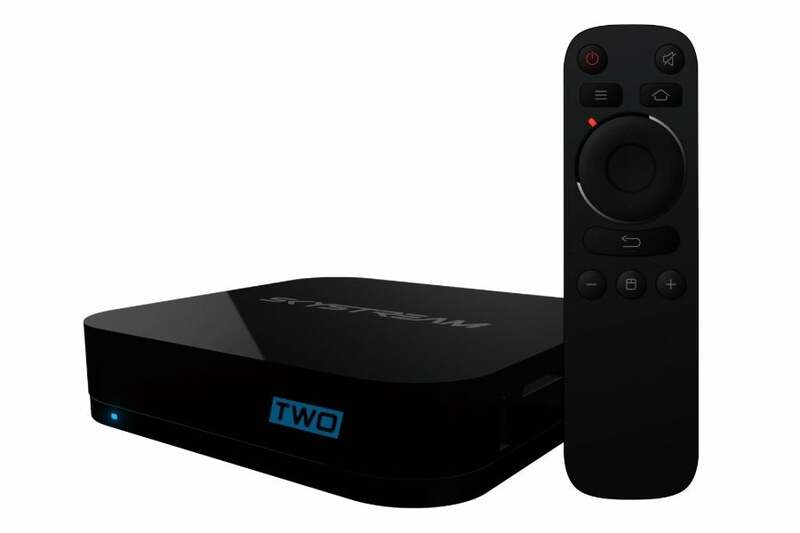 SkyStream also sells Android set-top boxes to go with its live streaming TV service. 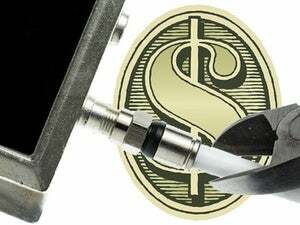 Granted, even the major streaming TV services are reportedly unprofitable, but companies like AT&T, Dish Network, and YouTube have lots more money to invest in streaming video over a longer period of time, and they’re working directly with the TV networks. While SkyStream and its ilk are $5- to $10-per-month cheaper than most live TV packages from larger companies, there are plenty of reasons to spend a little more. Services like Hulu with Live TV, YouTube TV, and DirecTV Now offer larger channel selections, full on-demand video catalogs, and much slicker apps. By comparison, my experience with SkyStream was a bit rough. An issue with its cloud DVR service has prevented me from viewing a recording of Monday Night Football, and none of its channels ran at 60 frames per second. 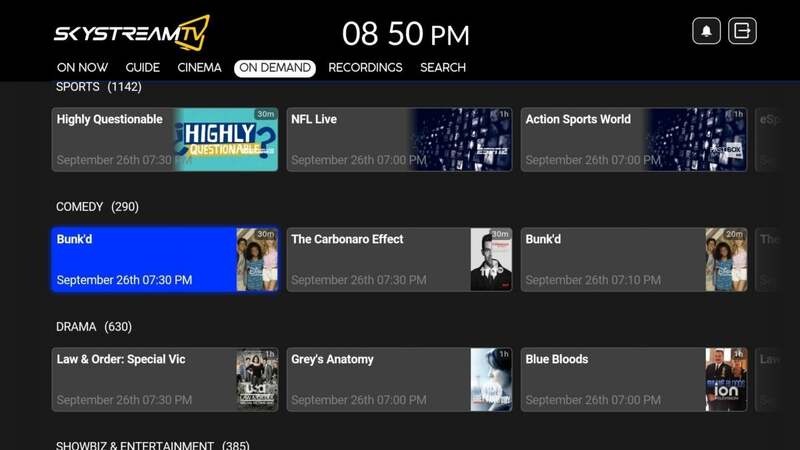 For DVR and replay video, you have to sift through long, unordered lists, and there's no way to see what's on other channels without leaving the one you're currently watching. 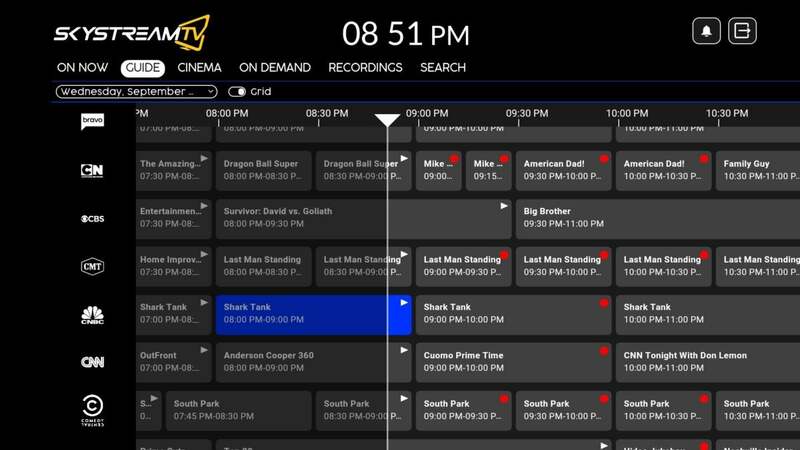 SkyStream's live TV guide is functional, but loses track of the current time slot if you scroll too quickly. 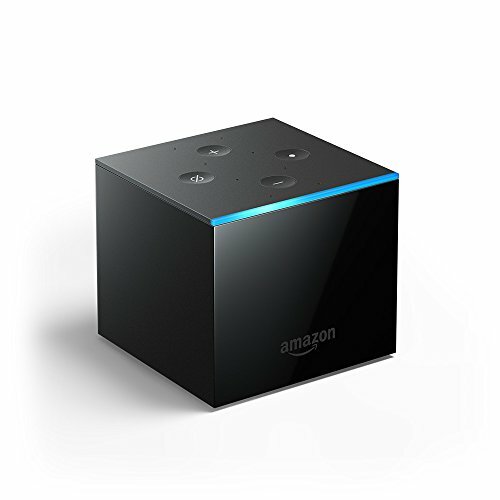 I also found SkyStream's guide view difficult to navigate on Fire TV and Android TV—it seemed to jump away from the current time if I scrolled too quickly—and Roku’s guide was even worse, with channels arranged horizontally instead of vertically. All of this makes me hesitant to recommend services like SkyStream in their current form, regardless of their legitimacy or longevity. And while a little more competition never hurts, let's see how many of these services are still around a year from now before we get too excited about what they're offering.